UAE and Thailand are locked 1-1 at half-time in their last Group ‘A’ fixture of the AFC Asian Cup at the Hazza bin Zayed Stadium. The hosts shot into lead as early as in the seventh minute through their mercurial striker Ali Mabkhout. The Al Jazira forward nodded home on the rebound after the first attempt from Ismail Al Hammadi, who was fed brilliantly by Saleh Al Hassan, found the horizontal. Thailand got the equaliser against the run of play in the 41st minute following a defensive lapse. Chanathip Songkrasin chipped it for captain Teerasil Dangda and Thitiphan Puangjan left unmarked overlapping from behind shot home from close range in a goalmouth melee. In the other crucial Group ‘A’ fixture in Sharjah, India and Thailand were 0-0 at the break. If India draw, then they must hope for UAE to either win or draw against Thailand to assure themselves of progress to the second round. It’s all come down to 90 minutes of frenetic action in Group A to decide who will progress to the knockout phase of the Asian Cup as hosts the UAE take on Thailand and India face Bahrain. As it is the final group games for all four teams, the matches kick-off simultaneously at 8pm, with the UAE playing the Thais in Al Ain at the same time as India will clash with Bahrain in Sharjah. 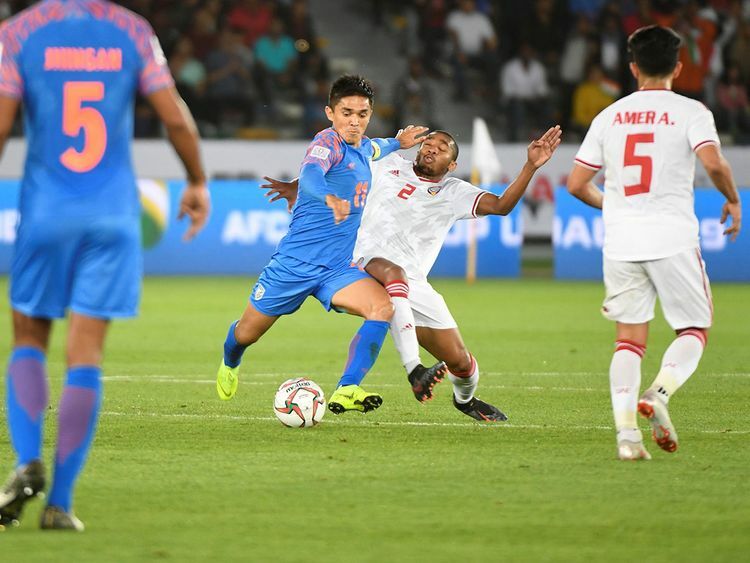 Alberto Zaccheroni’s men are in the driving seat with four points from their first two games, thanks to a draw against Bahrain and a 2-0 win over India. The Blue Tigers will be hoping the hosts do them a favour as they sit on three points, the same as Thailand, but with a healthier goal difference. Bahrain, on one point, still have a chance to qualify for the next stage of the continent’s flagship tournament if they can topple Stephen Constantine’s side. Fasten your sealbelts for a thrilling ride!